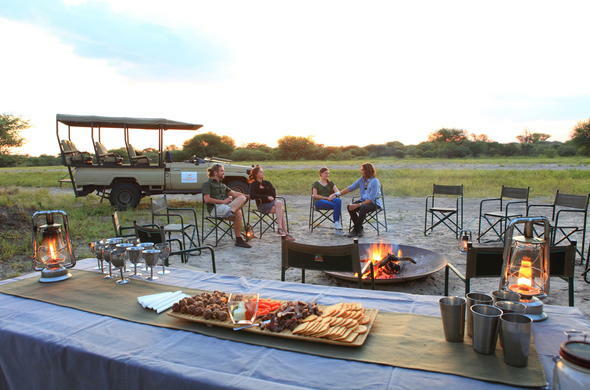 This Classic 5 day Fly-in Kalahari Desert Highlights safari tour combines a lodge stay with a mobile safari in the Central Kalahari Game Reserve, for the ultimate experience under the stars. Combining a classic lodge on a private conservancy in the Kalahari with a mobile camp in the Central Kalahari Game Reserve ensures an African safari with a difference. 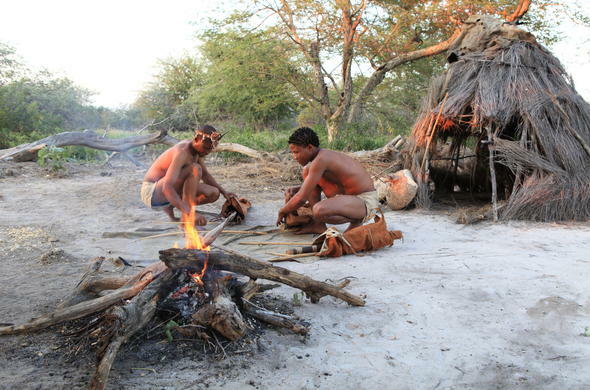 Add in a cultural experience with the Bushmen and you have a Botswana safari holiday of a lifetime. 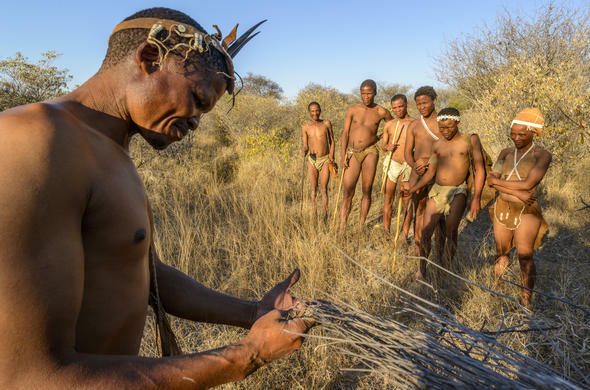 The Central Kalahari Game Reserve was set aside for the Bushmen people to continue their traditional way of life and has remained relatively untouched and ready for exploration. Predators abound and the wildlife is plentiful despite the aridity. 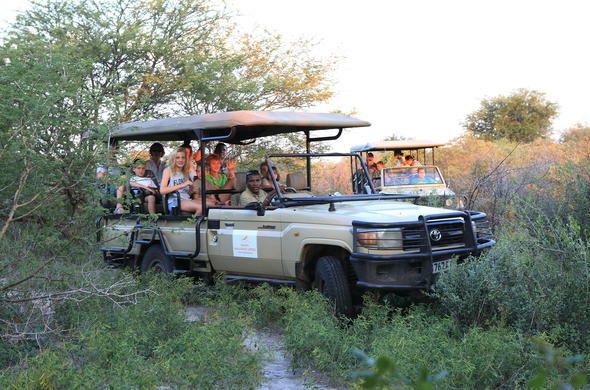 Activities on this Kalahari Desert Highlights Safari Package include game drives, quad biking and Bushmen interaction in the conservancy, located on the boundary of the game reserve, and drives within the Central Kalahari Game Reserve itself. Today you will fly from Johannesburg to Maun from where you will catch a light aircraft flight to a safari lodge on a private conservancy, on the boundary of the Central Kalahari. The lodge will be your base for the first and last night of your safari. You will arrive in time for lunch after which you can relax and refresh. Later, you will head out on an activity, enjoying sundowners in the bush, before returning to the lodge for dinner. 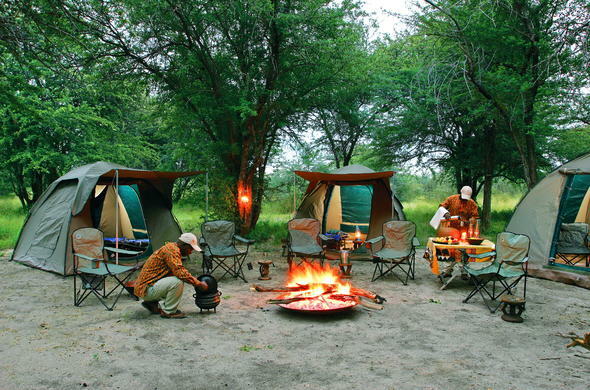 There will be time for an activity before you set off into the Central Kalahari Game Reserve, where you spend 2 nights at a mobile safari camp on a private site. The reserve is one of the largest in the world and you will spend time exploring and searching for the game that the area is renowned for. Dinner under the night sky makes for a memorable occasion. The day starts early as you head out into the vastness of the great Kalahari, stopping in Deception Valley en route. Named after the pan of the same name, that has confused people for decades because of its uncanny water-like blue clay, Deception Valley is where Mark and Delia Owens lived when they were researching the predators of the Kalahari. The book 'Cry of the Kalahari' tells of their experiences during the many years they lived here. In the evenings and early mornings you may hear the call of the Black-backed Jackal, the call that inspired the title of the book. The Kalahari is an intriguing place and the knowledgeable guides will enhance the experience immensely. Today is a relatively early start for the drive back to the conservancy and the lodge, with a game drive en route. Arriving back at the lodge around midday, there will be time to relax before the afternoon activity which may be a ride on a quad bike or an informative afternoon with the Bushmen, learning a few of their survival skills. This is the final day of your Kalahari Desert Highlights Tour. There will be time for a last activity before breakfast. 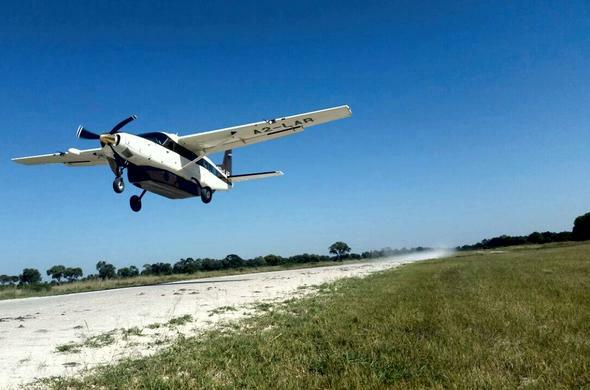 You will be transferred to the airstrip for your light aircraft flight back to Maun where you connect with the onward flight to Johannesburg, after a truly memorable and informative African safari in the Kalahari. This Kalahari Mobile Tour Package is based on a 5 day fly-in safari ex/to Maun and includes scheduled flights ex/to Johannesburg O.R. Tambo Airport. This package requires a minimum of 4 adults to run the mobile safari tour. The rate is calculated per person sharing a room. Please take note that the luggage restriction will be 12kg (26.5 pounds) per person in soft bags only for the light aircraft flight ex/to Maun. Rates may vary depending on the season and daily currency exchange rate.